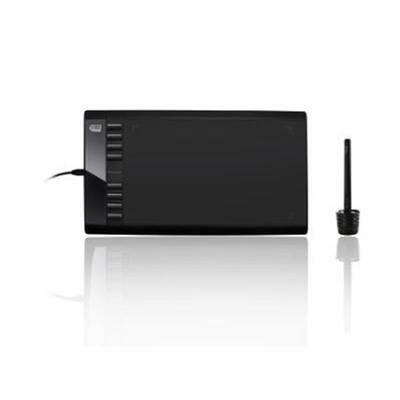 Perfect for art business presentations and projects Adesso CyberTablet T12 is an advanced graphic tablet that offers both PC and Mac users superior cursor control greater productivity and higher efficiency. CyberTablet T12 features 2048 levels of pressure sensitivity to imitate the subtelties of a brush stroke and other writing tools while its eight programmable hot keys provide various shortcuts to commonly used computer tasks. Plus the 10" X 6" widescreen drawing area allows increased precision and detail. This high quality graphic tablet is ideal for document annotation free hand illustrations graphic design whiteboard presentations or generally more precise cursor control. The CyberTablet T12 also includes bundled software so you can draw edit photos annotate and mark up documents using MS Office create digital signatures and create handwritten emails. Work like a pro and discover all the benefits the CyberTablet T12 has to offer! This item cannot be shipped to APO/FPO addresses. Please accept our apologies. As much as we love our iPad mini, typing on a touchscreen can often be an exercise in fumble-fingered frustration ? that?s what inspired us to create the Props Keyboard Case. This innovative folio-style case uses Bluetooth technology to deliver the very best in typing comfort and efficiency everywhere life takes you (and your iPad mini). Compatible with all iOS, Android, and Windows devices, the Props Universal Keyboard Case is the versatile protective tablet case that delivers the ultimate in typing comfort, ease, and accuracy. Featuring a full-sized, removable wireless Bluetooth keyboard, the Props Universal Keyboard Case utilizes a robust 250mAh battery for a reliable 90 hours of use between recharges. Including a full array of function buttons, the keyboard boasts an amazing responsiveness that makes typing feel as natural and comfortable as using a standard keyboard at home. Specifically designed to fit your iPad 1, the Props Folio Case is made of richly-styled PU leather, includes precise opening for your tablet's camera, ports, and speakers, and easily folds back into an easel stand for movie watching, web-surfing, reading, and more. 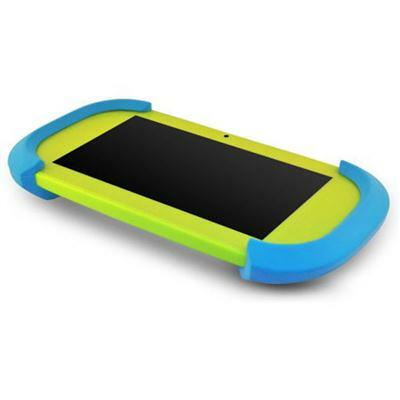 PBS KIDS 7" PBS KIDS Playtime Pad Android 6.0 Marshmallow. The PBS KIDS Tablet comes preloaded with over 23 games including 120 video clips songs and music videos a variety of educational games and content teaching reading math and more. Parental controls let you manage and customize your child's experience. The silicone case and ergonomic design provides increased durability and a secure grip. With Google Play you can access over 1 million apps and games as well as access to thousands of movies books millions of songs TV Shows and magazines. Games TV Shows Movies Books - Entertainment at your fingertips! Android 6.0 Marshmallow with PBS KIDS Mode and 100+ hours of PBS KIDS show. 7" HD 1024x600 capacitive multi-touch screen. 1.5GHz quad-core processor with dedicated GPU. 1GB RAM. 16GB of storage (available storage will be less). Micro SD Card - add up to an additional 32GB. G-Sensor. Wi-Fi ready. Manage and customize your child's experience. Set time limits; manage apps and videos and This item cannot be shipped to APO/FPO addresses. Please accept our apologies. 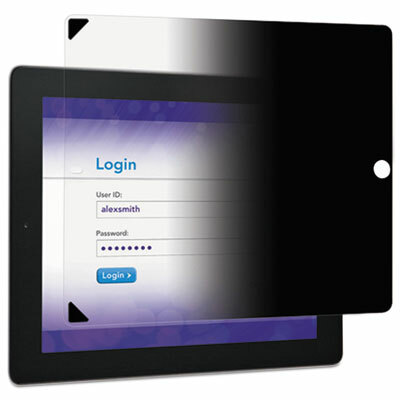 Using 3M's privacy technology, you can use your tablet in public without revealing confidential information. You clearly see your information on your display while people at your side only see a darkened screen. Removable feature allows you to stay private when needed; remove filter to share. 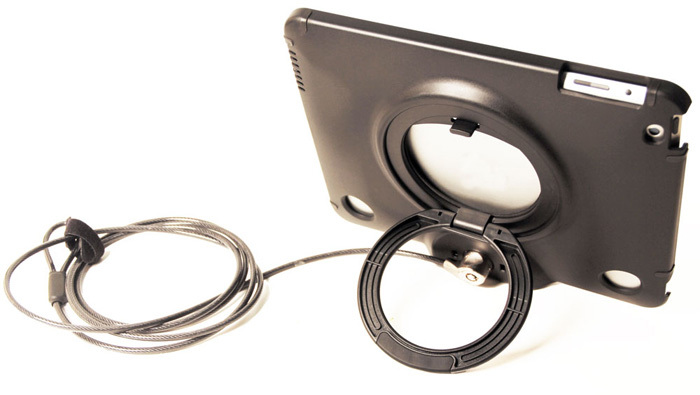 Quick, bubble-free attachment method allows the privacy filter to be removed and reapplied numerous times. Privacy filter protects your device screen from scratches and the rigors of daily use. Privacy filter and adhesive corner tabs are washable to remove any dirt or debris. For Use With: iPad Air� 2, Landscape; Accessory Type: Filter; Material(s): Plastic; Color(s): Clear/Black. 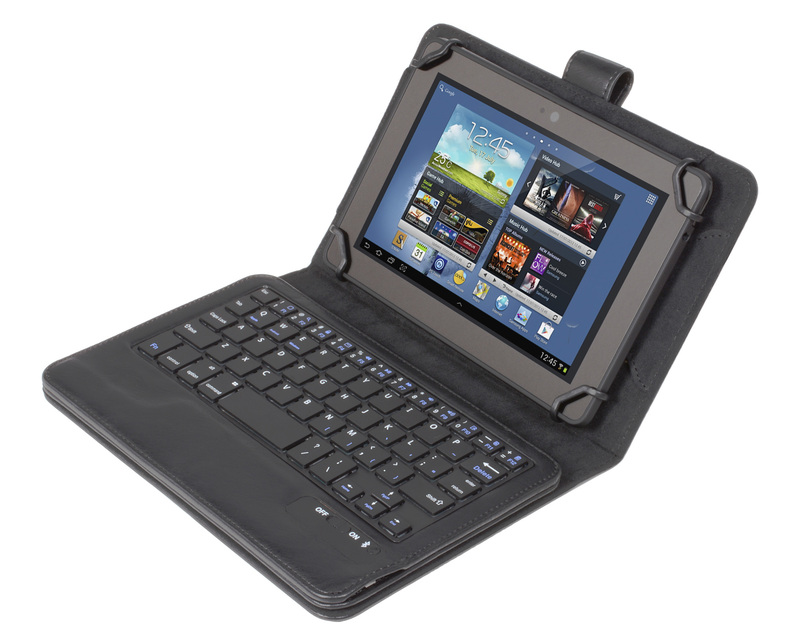 CRAIG 9″ Multi-Touch Android Tablet with Keyboard Case,� Quad-Core CPU & WiFi� COCG793BUN Android Lollipop 5. 1 OS 8GB Built-in Flash Memory +�Micro SD Card Slot Dual Cameras WiFi (802. 11b/g/n) Bluetooth Wireless Technology (4. 0) Supports 3D Gaming Accelerometer Mini HDMI AV Out Jack (1080p) Built-in Rechargeable Battery Built-in Speaker & Microphone � � . As much as we love our iPad, typing on a touchscreen can often be an exercise in fumble-fingered frustration ? that?s what inspired us to create the Props Keyboard Case. This innovative folio-style case uses Bluetooth technology to deliver the very best in typing comfort and efficiency everywhere life takes you (and your iPad mini). 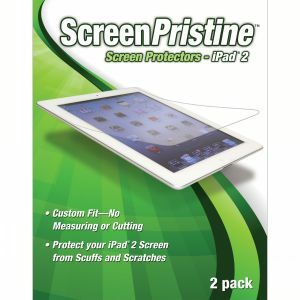 Shield your iPad 2 screen from scratches with ScreenPristine Screen Protectors, designed for easy application and a perfect fit. 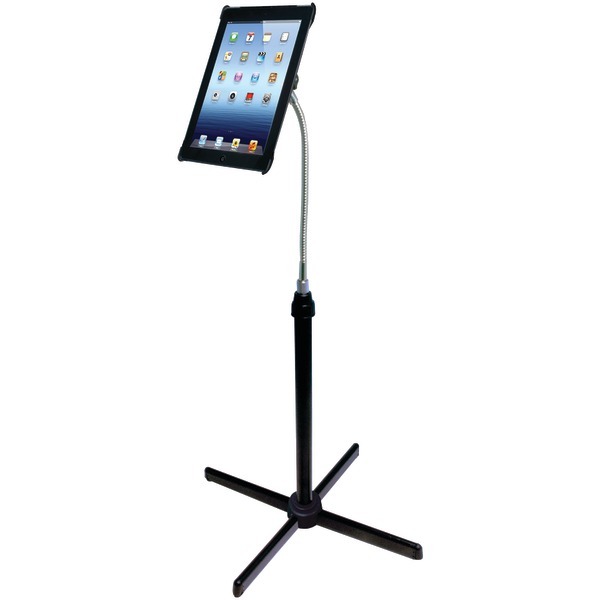 Keeps your iPad 2 free of scratches, scuffs, and smudges. 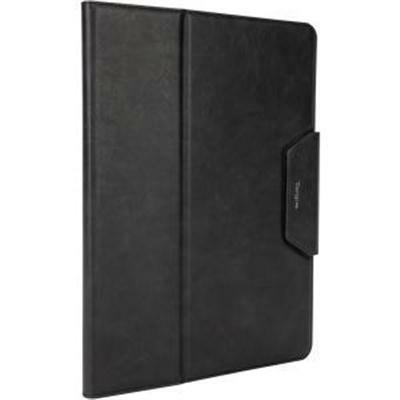 CODi Smitten 3.0 Folio for iPad Air 2 This item cannot be shipped to APO/FPO addresses. Please accept our apologies. 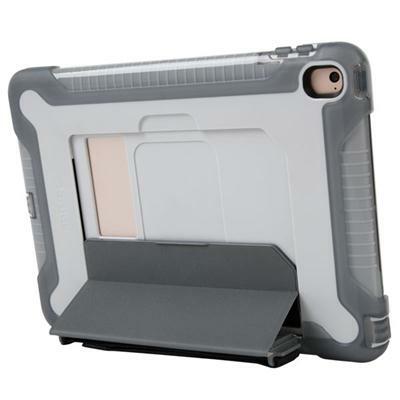 CODi Locking Case for iPad Air This item cannot be shipped to APO/FPO addresses. Please accept our apologies. CODi Ipad Air Smitten Case W Snap This item cannot be shipped to APO/FPO addresses. Please accept our apologies. CODi iPad Pro 9.7 Folio Case with mitt This item cannot be shipped to APO/FPO addresses. Please accept our apologies. 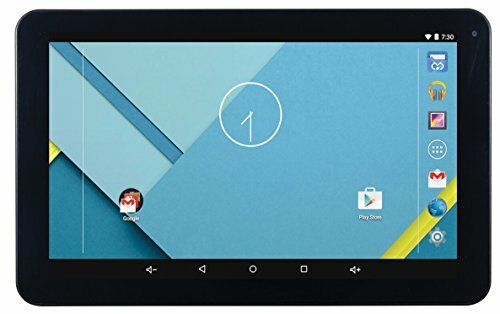 Acer Iconia B1-790 7" Android Tablet 1280x720 IPS Touchscreen display Mediatek MT8163 SoC 1GB RAM 16GB eMMC Storage Android 6.0 This item cannot be shipped to APO/FPO addresses. Please accept our apologies. 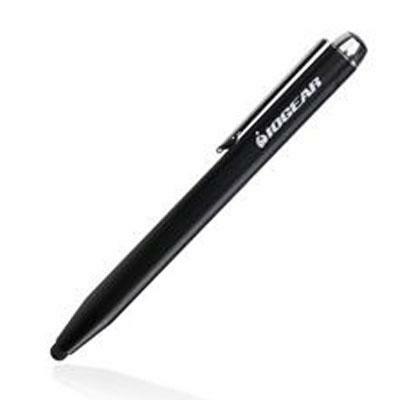 IOGEAR's Accu-Tip Stylus for Tablets and Smartphone is an essential tool for your iPhone iPad Galaxy S4 Galaxy Tab or other capacitive touchscreen device. The slim 4.5mm touchpoint provides accurate response that is perfect for signing important digital documents or creating artistic designs with drawing apps. The metal body construction provides balanced weight and a solid feel in the hand for comfortable use. The low friction touchpoint tip glides smoothly across the surface of your display without leaving marks. 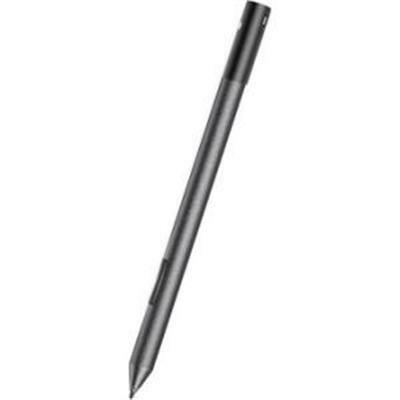 The Accu-Tip Stylus is perfect for students taking class notes artists creating digital paintings and merchants or bankers that require a verifiable electronic signature. Additionally IOGEAR's Accu-Tip Stylus is the perfect tool for composing messages on devices with small on-screen keyboards or when cold and inclement weather makes direct finger contact on the touchscreen difficult. Drawing and Painting Both digital artists and novice doodlers alike will appreciate the Accu-Tip This item cannot be shipped to APO/FPO addresses. Please accept our apologies. 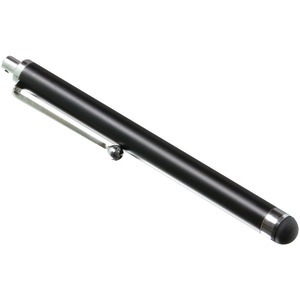 Dell Active Pen for Latitude 5285 5289 7285 This item cannot be shipped to APO/FPO addresses. Please accept our apologies. 11.6" Commercial-Grade Form-Fit 360 Cover for Dell Chromebook 3189 [Black] ( White Box packaging ) This item cannot be shipped to APO/FPO addresses. Please accept our apologies. 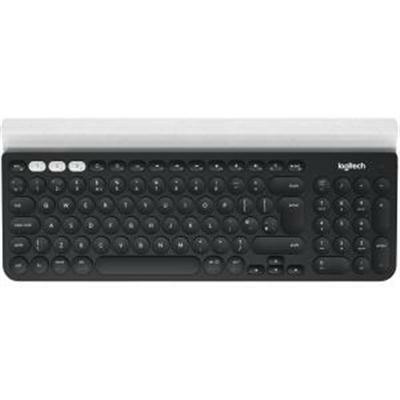 K780 Multi-Device Wireless Keyboard (Speckles Version) - Amazon US and LAT only. 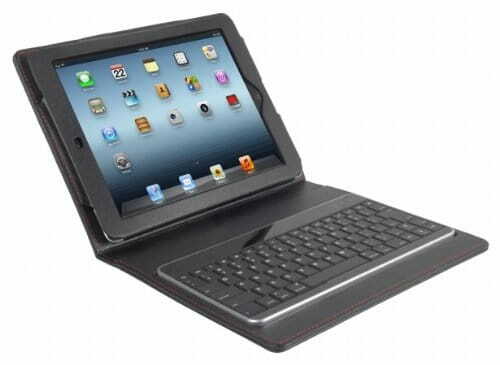 Type on your computer smartphone and tablet -- with one fully-equipped beautifully finished keyboard. Easily switch typing between all devices you enter text on whether Windows or Mac Android or iOS. This item cannot be shipped to APO/FPO addresses. Please accept our apologies. 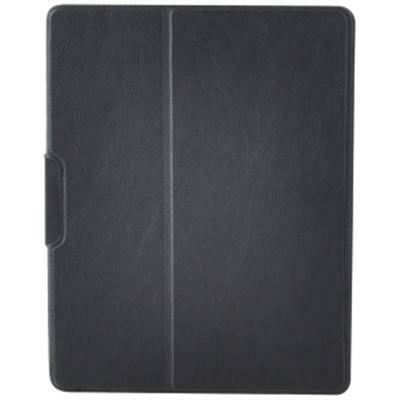 ZAGG Slim Book Go made for the Apple iPad Pro 12.9 This item cannot be shipped to APO/FPO addresses. Please accept our apologies. SafePort Rugged Case with Integrated Stand for iPad (2017) iPad Air 2 and iPad Pro 9.7-inch BLACK This item cannot be shipped to APO/FPO addresses. Please accept our apologies. CODi BT Bluetooth 4.0 Keyboard Case for iPad Air 2 with Card Reader Cutout This item cannot be shipped to APO/FPO addresses. Please accept our apologies. VersaVu 12.9" iPad Pro 2&1 Blk [Black] 12.9" This item cannot be shipped to APO/FPO addresses. Please accept our apologies. Microsoft surface Pro 4 rl1s case.Design that delivers high availability, scalability, and for maximum flexibility and price/performance.Made in China. 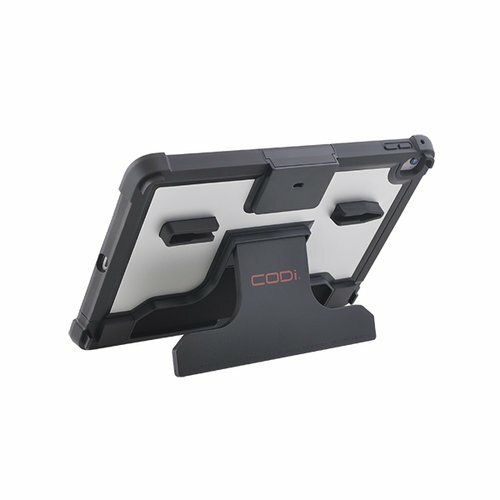 CODI iPad Chill Locking Case 9.7 This item cannot be shipped to APO/FPO addresses. Please accept our apologies. 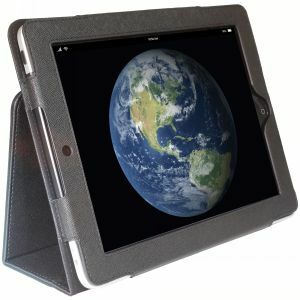 CODi Locking Case for the iPad 2-4 is the perfect combination of protection and security. Locking down your iPad is simple and easy with CODi Secure loc Technology. 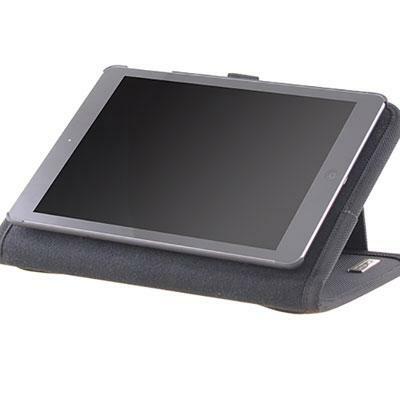 This case provides both the form and functionality of a traditional tablet case with the added comfort of knowing your tablet is safe and secure where you left it. NOT THE RETAIL PACKAGING This item cannot be shipped to APO/FPO addresses. Please accept our apologies. 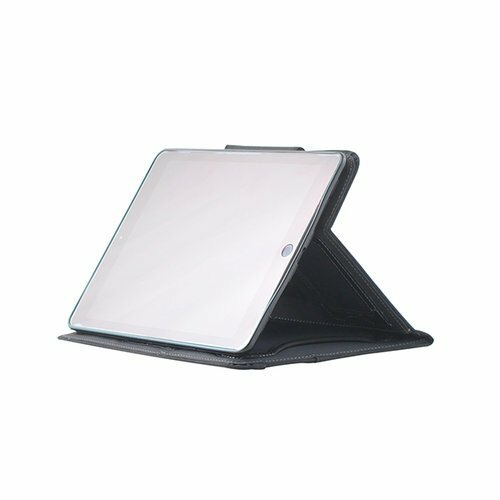 CODi iPad Pro 10.5 Folio w Mitt This item cannot be shipped to APO/FPO addresses. Please accept our apologies. CYCLE 1 2019 Lenovo Smart Display 10 Qualcomm Snapdragon? 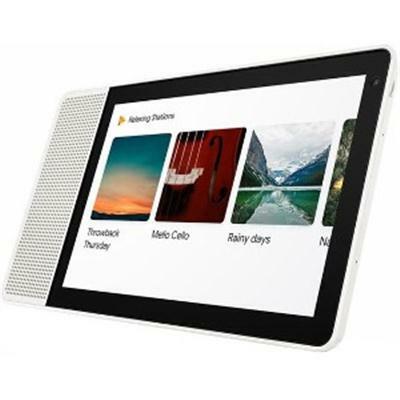 624 (ARM A53 14 nm Octa-Core 1.8 GHz)) Android Thning Google Assistant 10.1" 1920x1200 FHD + IPS 86 degree wide angle Integrated graphics 4Gb eMMCstorage 2GB LGDDR3 memory 5.0 MP Wide Angle Front 720P video calls 2" 10W Full Range Speaker with Dual Passive Radiator 2 x 2 Dual Microphone Arrays 2 x 2 WiFi 802.11 ac 2.4G/5G MIMO Bluetooth 4.2 BLE White Front Bamboo Back 1 year limited warranty. See official warranty statement for full details This item cannot be shipped to APO/FPO addresses. Please accept our apologies.